Home / GST / GST-Tally / How to Change effective GST Rate in TallyERP.9? How to Change effective GST Rate in TallyERP.9? GST Council Committee recently reduce lots of commodity rates from 18% to 12%, 12% to 5% and 5% to Nil on Dated 10th November 2017. Commodity like Electronic Goods (Wire, Insulators, Electrical boards etc) reduced from 28% to 18%. In this post we know how to change effective rate and effective date of a commodity and how can it effect your GST calculation. 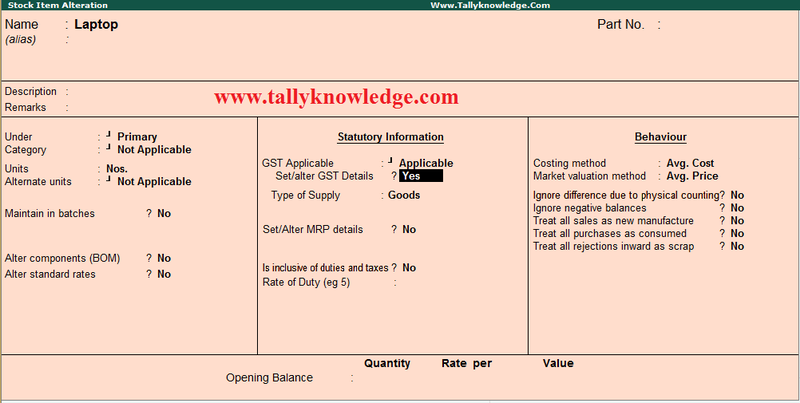 Read Also: How to Create GST Tax / Service Invoice in TallyERP.9? For Setup new GST Rates you need to change / alter your existing commodity. Save the details and re-open the inventory details. 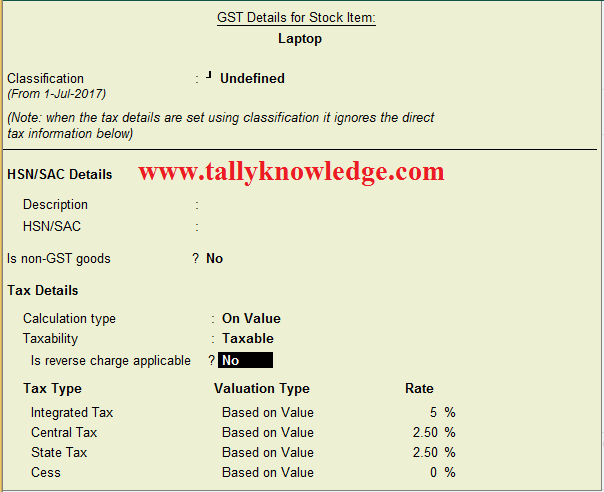 Again go to Stock GST Details and Press Alt + L on GST Details for Stock Item. Alt + L is used to see tax rate history for each commodity. If you want to see the Original Tax Rate effect then you must enable yes to Last Option Set/ Alter Tax Details and it will show you the effective date and all the changes applicable to the commodity.